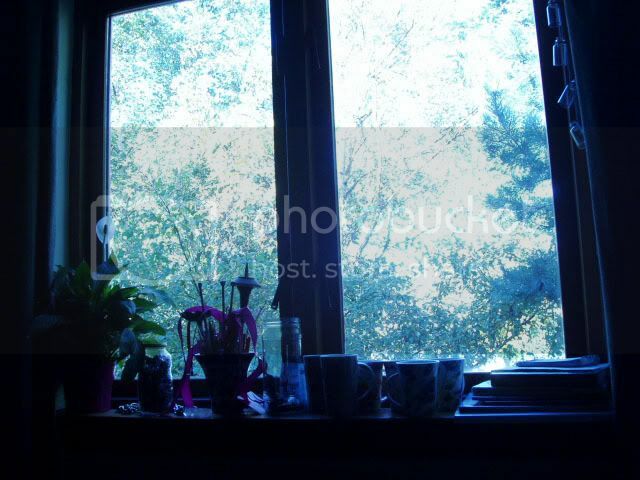 This is, literally, a snap-shot view from my window of the beautiful autumnal sunshine crisping up the leaves and warming up the air just enough to take the edge off. It's a day for a walk along the coast, for time spent outside before the wintery months arrive and take the gold away. I know I've said it countless times before, but I love Irish weather. I love how just as you start to get bored of one set of meteorological conditions, another comes along to give your tired eyes something new to marvel at. Right now, it's the colour of the leaves, in a few short weeks, it'll be the bareness of the trees and the sense that everything is settling down for a long sleep, then, before you know it, spots of green appear here and there, followed by splashes of colour as petals begin to unfurl, and soon enough the sky is full of migratory birds return to their summer nests and the whole country warms up by a few precious degrees. 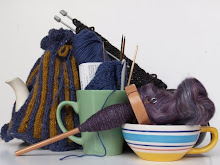 And for a fibre fiend such as myself, all this means even more because for every season, there's the perfect project. I've decided today's post should be about some of the lovely patterns my friends have created over the last while. I know some very talented people! 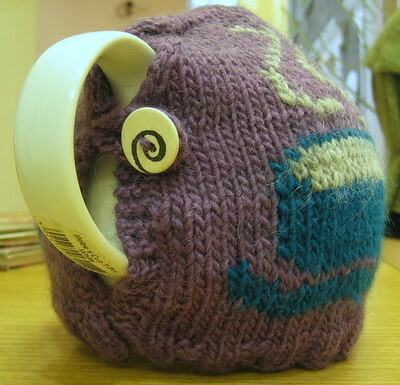 The second is a very fun tea cozy, perfect for keeping your brew nice and hot during these cold months ahead. 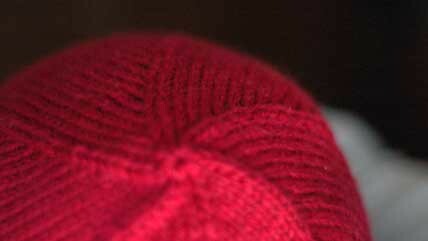 It even features a colourwork teacup, in case you forget what's under it! D thinks of everything. And thirdly, now that you have your neck, and your insides nice and toasty, is a classic red hat by A. I love the look of this chapeau and think it'd top off any winter look very nicely.